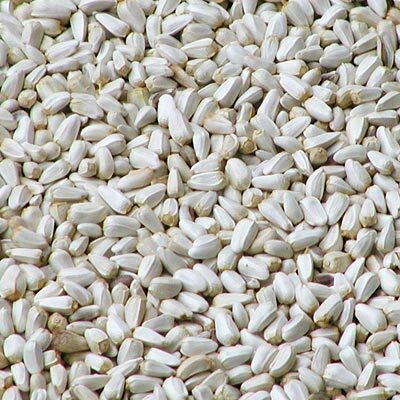 Safflower seed is often used as a substitute for black oil sunflower seed. Safflower seed, like black oil sunflower seed, is high in protein and fat; but, unlike black oil sunflower seed, it discourages starlings, grackles, and squirrels from feeding. Safflower seed is a favorite of cardinals and a number of other common bird feeder visitors. Simply mix safflower seed with black oil sunflower seed for a short time to eventually feed safflower seed exclusively. Note: Packaged in a 5 pound bag for easy handling. Hello BestNest! I just wanted to let you know that the Safflower seed did the trick . . . The grackles and blackbirds do not like it at all. They came back for a few days to check out the food supply I suppose to see if it changed back. After several days, they stopped coming back. We are continuing to have our beautiful cardinals, bluejays, wrens and two sets of mourning doves. Wild Bird Seed Mix, Deluxe Blend with Fruit, 5 lbs.